Take your cleaning to the Edge! 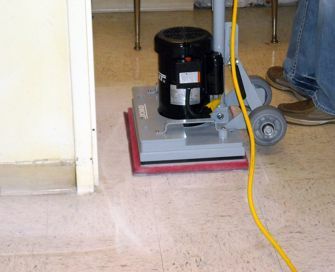 The Factory Cat Edge surface preparation technology can reduce your waxed floor maintenance costs up to 75%. The Edge will strip most floor finishes chemical free. No more need for harmful or hazardous chemicals. The Edge comes in two models, ST (1725 rpm) and HD (3450 rpm). Both units are quiet for noise senstive areas and will work wet or dry. Featuring square pads, the Edge will reach all your flooring surfaces.